Shred Guitar Riffs, Pantera "This Love" - Free Pantera Shred Guitar Riffs! This free shred guitar Riff is "This Love" by Pantera. Here's' the 1st part of the intro to the song. This is kinda a slow song for the shred guitar section but I had to include it because it rocked. 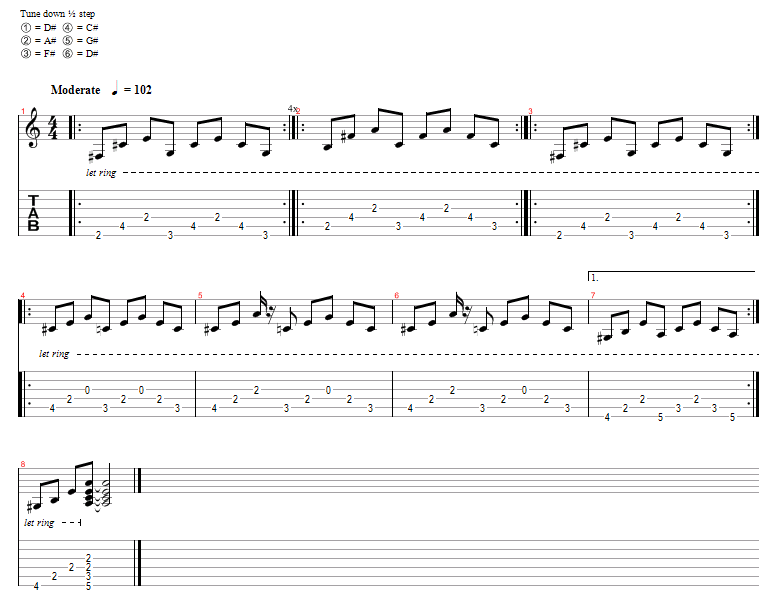 Do mostly down picks during this shred guitar riff and let each note ring. Pay carefull attention to the repeat marks on the tab. This shred guitar is easy once you get the hang of it. Tune your guitar down 1/2 step to play this shred guitar riff like it is on the album. With this lesson you can learn to play "This Love" by Pantera. Pantera Shred Guitar Riff - "This Love"